Beijing, 30 January 2015 – CITES Secretary-General John E. Scanlon met with Chinese Vice Prime Minister Wang Yang today and discussed the implementation of CITES in China and highlighted the enhanced collaborative international efforts to combat illegal wildlife trade. The meeting followed a two-day expert workshop, co-organized by the Chinese Government and the CITES Secretariat, in Hangzhou on consumer-side strategies to curb illegal trade in elephant ivory which attracted over 80 participants from national wildlife and other relevant authorities from China, international organizations as well as the private sector and non-governmental organizations, experts and specialists from many disciplines, including from the collection and art investment circles. This groundbreaking workshop was the first major effort to address the speculative nature of the demand for illegal ivory in China. During the meeting, the Secretary-General briefed the Vice Prime Minister on the outcomes of the workshop as well as on current challenges with illegal trade in ivory, rhino and rosewood. He highlighted the collective efforts that are underway to combat illegal trade in ivory, and the need for more targeted demand reduction activities to complement enforcement efforts. The Vice Prime Minister agreed that collaborative efforts in range, transit and destination States is the best way to address international wildlife trafficking and assured that China is committed to work with the international community in the fight against illegal wildlife trade. He also said that some traditions in China in consuming wildlife need to be adjusted today so that the consumption is consistent with sustainable development. The Secretary-General also met Administrator Zhao Shucong of State Forestry Administration and discussed specific measures on law enforcement and demand reduction efforts to curb illegal wildlife trade in specimens of various CITES listed species, including elephant ivory, rhino horn and rosewood. He stressed the importance of reducing the demand for illegally sourced wildlife through well targeted campaigns, which will complement the significant efforts made by the Chinese Government in cracking down on illegal wildlife trade through enforcement measures, such as confiscation of smuggled wildlife products, prosecution and imposition of severe penalties. Today’s meeting with the Vice Prime Minister is the first meeting of a State Leader with the CITES Secretariat, which shows the importance the Chinese Government attaches to the implementation of CITES and its determination to further combat illegal wildlife trade. With 180 Member States, CITES remains one of the world's most powerful tools for biodiversity conservation through the regulation of trade in wild fauna and flora. CITES regulates international trade in over 35,000 species of plants and animals, including their parts and products, ensuring their survival in the wild, with benefits for the livelihoods of local people and the global environment. The CITES permit system seeks to ensure that international trade in listed species is sustainable, legal and traceable. CITES was signed in Washington D.C. on 3 March 1973. 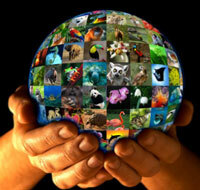 The United Nations General Assembly has proclaimed 3 March as World Wildlife Day. CITES was adopted in Washington D.C. on 3 March 1973. The 40th anniversary of the Convention will be celebrated in March 2013 which coincides with the 16th Meeting of the Conference of the Parties to be held in Bangkok, Thailand, from 3 to 14 March 2013.